Recently, our characters in an Atheria campaign game have entered (hopefully merely for a visit) a very standard D&D (Forgotten Realms, as it turns out) world, with a more traditional experience-point-based system for leveling and advancing. We were… surprised, to the say the least. And disturbed. Many of the creatures we have encountered have no sensible biology, and the world required some very strict rules to keep ft from collapsing. The deities, for example, have had to establish strict and arbitrary identities for species – patterns to which overly-mixed breeds revert – to keep the unlimited crossbreeding from collapsing all the species into each other. We got a chance to chat with a rather nice (well, “Lawful Evil”) but willing to converse for a reasonable bribe) dragon. He explained a great deal about how things worked, pleased that we weren’t adventurers out to kill him. And in that sense, we were very curious as to how it all actually worked under the hood. The locals don’t even need to know; it’s just a part of them, as natural as breathing. However, Ein is a researcher and likes to tamper with things Man Was Not Meant To Know, both because it’s funny and because he’s young to enough to believe himself immortal. So here is some hypothesizes from him, starting with a basic rundown of what we know for sure, what seems likely, and moving from there to some possible experiments. “Experience Points” are, or stand for, something real. Whatever that is can be analyzed and measured according to a simple numeric scale. They are attached to a creature or object. Creatures gain more by killing things. Despite what the dragon implied, it doesn’t have to be opposite-alignment creatures, though it may help. They come with innate conflicts-orientations versus other alignments. With them, you almost instantly become better at what you do and can even learn whole new tiers of ability instantly. They tend to control personality and behavior, to a degree. Creatures definitely seem to have their own separate personality, but view other alignments as natural competitors or something. You can split them off into items deliberately; they’re apparently linked to life force and spirits – and can bind spirits to things easily. Most “Gods” are merely at the top of the target list. We, lacking those links, are not receiving a share in the rewards for killing things – but those rewards are still being handed out. Fighting everywhere. Every creature that’s not too far below you is worth killing, although you may have reasons of your own not to do so. Alignments suppress conflict enough to permit species to survive – but force whole groups to fight even if they have no interest in each other or rational motive for doing so. “Good” and “Evil” here, as well as “Law” and “Chaos”, seem to mostly be banners in the war. There’s some behavioral control going along with it. Good creatures are psychotically driven to massacre evil ones, and evil ones seem to prefer good targets. However, we’ve seen many “evil creatures” who were quite genial outside of the weird local conventions, and good powers which were borderline psychotic. There’s an acceleration. People die a lot, but advance rapidly if they survive, until they can’t get any more powerful. Then somebody else bumps them off. This may be slowly increasing the total energy in the system, or it may be stable. I’m almost positive it’s not shrinking, because if there was much inefficiency and loss the sheer rate of killing would drive everything towards low levels swiftly. The stronger a connection a creature is born with, the more stable it is (harder to alter), and the more free power the creature starts life with. I esxpect that such a phenomenon will be self-balancing. Initially weaker creatures die in droves, but a few survivors will have strong connections and have picked ones suitable to them. While the one way we were told to create magic items involved infusing them with a balance of “experience points” / alignment energies, it seems likely that that isn’t necessary. If the base item can successfuly contain it, it seems like you should be able to use any alignment energy you want. I can’t actually tell if the alignment links themselves matter except as a funneling mechanism. After all, creatures apparently keep their reserves of power even if they swap alignments later. So the actual “flavor” of the energy apparently matters less than the quantity. The whole mess seems to either be some cosmic being’s entertainment, or perhaps a shuffling mechanism to produce the strongest killers most rapidly. Creatures have alignment links, which funnel “experience points” to them. The experience points themselves are identical except for having a polarization effect applied (which doesn’t really matter much). The outer planes, being infinite in scope, have infinite potential energy to distribute. The fact that the creatures themselves must develop these links by mass murder implies that there isn’t another way. Either something actively prevents the planes from fuelling their champions, or they choose not to do so. Either could be the case, and it’s pretty much irrelevant. Therefore, when a ceature kills another, it must either be demonstrating its fitness for more power, absorbing some for itself, or creating a “hole” in the universe which creates a channel for the killer’s gain. I favor the last approach. This implies that only through the birth of new creature does the total xp reserve increase, if it does at all. Once the killing is accomplished, the successful killer has forced some other alignment energy out. Its own alignment channel then has a niche to fill in total, which it can then shove full of more energy. 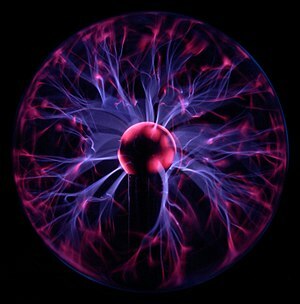 However, that energy’s polarity is always fragile. If the creature can and does change alignment, the bond is broken and rebuilt to a new source, and in a chain reaction the xp twists with the new catalyst. Now, what’s interesting is the next part. The creature actually builds itself with xp. It can instantaneously gain knowledge from nowhere, skills from nothing, and whole new abilities. This clearly has some unusual and extreme advantages – imagine custom-designing your own self with no more difficulty than picking from a menu. Evidently, experience is the raw stuff of creation around here. This makes a certain insane sense if the “outer planes” are some kind of potential energy. If we kill some creature without our minions around, it will shove some alignment energy out of the universe. A hole would still be created, and over time alignment forces might fill it. But nobody would instantly know about it or be ready to pump up. If we kept doing this, we might even permanently damage to global xp supply, though that would require mass extinctions. We might be able to manipulate the effect for our own ends. If we could create a hole somewhere, we’d make it quite possible to call down some new alignment energy from nothing. Kill something while watching what happens to all the alignment energy in the area. Set up sensors for relevant types of energy and see which ones get triggered. I think I can do this with my new PasuCon*. *Ein is enchanting himself a sort of “magical tricorder” there. I’d like to try dropping some alignment creatures out of the universe. What happens? Does the “XP” still get handed out to locals? Kill something (neutral) with as many (nonneutral) creatures of different alignments cooperating. Who gets what? Kill something with as many creatures of different alignments cooperating, but checking the target’s alignment first. Set this up several times, and see who gets the most “XP” or if it’s shared evenly. Good thing they didn’t end up in a 1e setting- where treasure was much more important than creatures for gaining xp. That definitely would have called for quite another theory – although their world has some precedent for wealth either granting or focusing supernatural powers since the Atheria setting uses the Wealth Level Templates from The Practical Enchanter. Well, we’ll just have to see how some of those theories work out. Letting the characters explore the setting physics is always fun. Actually, a 1e setting wiould be eaiser i that regard,. All items have a monetary value from which you derive your xp value. The fact that one treasure cna be earned, contribute to xp, and then spent without losing it is odd, but the basic mechanism is easier to work out. Not at all. Clearly, gold ad treasures have a mystical charge of power which accumulates over time. You can only claim this charge once it’s lain in a dungeon for a while (a century of good) and you properly risk death to go through it. I can complicate it more, but that’s the fun part. Oh, that’s not the problem – it’s the inconsistency part. Sometimes running a merchantile operation would count, sometimes it wouldn’t , depending on GM whimsy. It’s hard to come up with a consistent theory for that.